Fantastic day trips from Auckland! 50 islands are dotted around the Hauraki Gulf, many of which are nearby Auckland Central making a good excuse for day trips! The Hauraki Gulf is 1,200,000ha of the Pacific Ocean. Rangitoto, Waiheke, Motuihe and the Great Barrier Islands have regular ferry services running from the Ferry Building at the end of Queens Street, Auckland City – the big historical orange building. You can’t miss it. The ferry ride to one of these islands is a trip highlight in itself. Get awesome views of the surrounding islands and the Auckland City skyline with the iconic Sky Tower. Plus, it is not uncommon to see a dolphin along the way. Getting around the Hauraki Gulf islands is half the fun, as Great Barrier Island and Waiheke Island in particular have a range of hiring options as soon as you leave the ferry. Then start exploring beautiful beaches, volcanic landscapes and native bush. 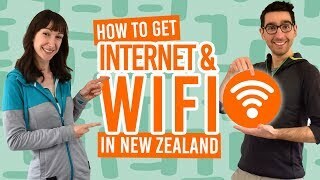 Looking for more things to do in and around Auckland? Check out: Auckland North Shore – Guide for Backpackers. Walk on Auckland’s youngest volcano: Rangitoto Island. Explore Waiheke Island by bike, kayak, horseback, car or scooter. Discover the underwater world just off the coast of Great Barrier Island. See rare and endangered species in Tiritiri Matangi, Brown Island, Little Barrier Island and more! Auckland’s youngest volcano at 600 years old is a bit of an adventure squeezed into a day trip. Adventure #1: you can’t miss the last ferry, which can be as early as 3.30pm on weekdays in the off-peak season, or else you will have to survive the island overnight! Adventure #2: scramble through the lava caves (make sure to bring a torch or use your phone’s light). Adventure #3: walk among black volcanic rock on the way to the summit. Adventure #4: feast your eyes on the huge volcanic crater and over to the Auckland City skyline. Then use the summit track to get a 360° view of the surrounding islands. All adventures aside, Rangitoto Island is a protected island with no predators, hence the chorus of native New Zealand birds perhaps like nothing you have heard before if this is your first time outside of Auckland City. Keep in mind that there are no shops on Rangitoto, so bring your own food and water. Although the tracks are well maintained, the jagged volcanic rock requires some decent sneakers or walking shoes. For a full guide to Rangitoto, check out Guide to Rangitoto Island and Motutapu Island. 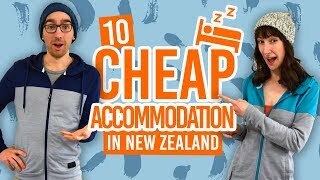 For us backpackers, Waiheke is paradise day trip or overnight stay with some reasonably priced backpacker accommodation. Plus, there is more than plenty to do. There are some fun (and challenging) ways to get around the island. Depending on fitness level, hiring a bike is a popular option with lots of uphill climbs and downhill fun! Alternatively, there are scooter hires, car hires, horse riding, or you could take the bus. Sea kayaking gives a different perspective of the island. Make sure to book in advance. Of course, don’t underestimate the power of the legs! There are some coastal tracks capturing amazing views. We especially like the Cross Island Walkway, which is a steep forest walk from one coast to another. Start from Onetangi Beach. Whether you’re cycling, walking or getting stuffy on the bus, a good way to cool off is by taking a swim the the clear refreshing water. Oneroa, Little Oneroa, Palm Beach and Onetangi are great beaches for relaxing and swimming. With 18 vineyards, you can make a ‘vineyard crawl’ out of your journey around the island. Waiheke Island provides the hot dry summers and stony soils to produce excellent award-winning wines. Get the full Waiheke Island story here: Waiheke Island – Guide for Backpackers. Further over yonder is Great Barrier Island. Treat yourself to diving in the most diverse underwater worlds in the Hauraki Gulf. For warmer water activities, bathe in the free natural thermal pools of Kaitoke. There is parking just off Whangaparapara Road for the hot pools. Considering how you are going to travel around Great Barrier Island is important because there is so much to see. The east coast has beautiful stretches of beach and the west has sheltered rocky beaches. Biking on Great Barrier Island offers something for different fitness levels and is a quick way of seeing the island, as does car hire! You can hire a kayak independently or with a guide to explore off the coast. Get to Great Barrier Island by the 2 hour ferry in the peak season or 4h30min in the off peak season, priced at around NZ$90. Alternatively, a 30min flight from Auckland domestic terminal is around NZ$140. Due to the length of time it takes to get to the island, it is worth checking out the backpacker accommodation on the island. Find out more about how to get to the island in Public Transport in Auckland. Check out Great Barrier Island – Guide for Backpackers for more things to do. There are many more islands to see in Hauraki Gulf. They are more off the beaten track simply because ferries are not as frequent or you have to take a boat cruise to get there. Motuihe and Motutapu both have ferries from the Auckland ferry terminal, in fact, Motutapu is connected to Rangitoto Island. They are steeped in World War 1 and World War 2 history. Motuihe held prisoners and a navel base and Matutapu still has WW2 ex-military barracks. Nowadays, people enjoy their beaches, volunteer for conservation, and camp on the islands. Check out more about the campsites on Where to Camp in Auckland. Protected wildlife and native bush can be found on Tiritiri Matangi, Browns Island, Little Barrier Island and Kawau Island. Especially on Tiritiri Matangi, there is a wildlife sanctuary for tuatara, little blue penguin during the breeding and moulting seasons, takahe, and more. Ferries have just started going to Rotorua Island. This used to be off limits except for those using the drug and rehabilitation centre in the care of the Salvation Army. Today, you can take the walking trails, go to the four beaches, and visit the museum to learn about this intriguing island’s past. Visit the Waiheke Island Historic Museum. Check out some live music in the bars on Waiheke Island. See Great Barrier memorabilia at the Milk, Honey & Grain Museum, Claris, Great Barrier Island. Good Great Barrier Island surf locations are: Whangapoua, Medlands and Awana. Take one of the longer walks on Rangitoto Island to visit the adjoining Motutapu Island. Catch your own fish on a charter from Great Barrier Island or Kawau Island. Where to stay in the Hauraki Gulf? For more accommodation options, check out Accommodation Guide to Auckland Region and Where to Camp in Auckland.